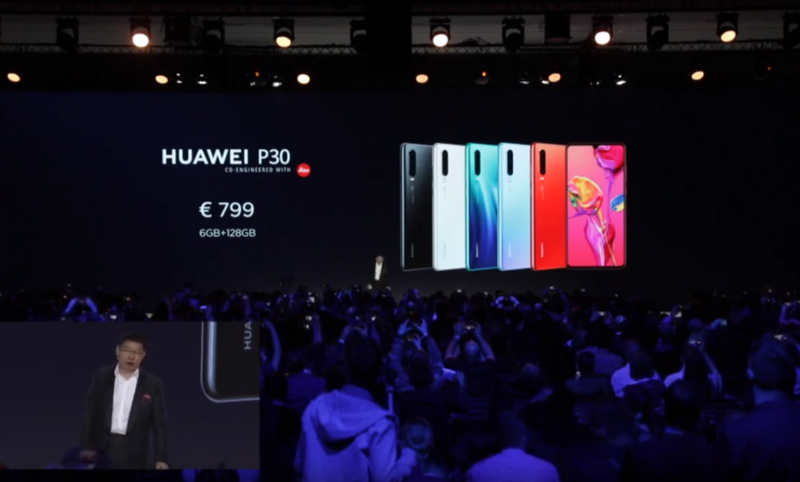 It has been almost exactly one year since the Huawei P20 and Huawei P20 Pro were announced. Now, after a few weeks of leaks and rumors, Huawei is ready to show off the next generation. 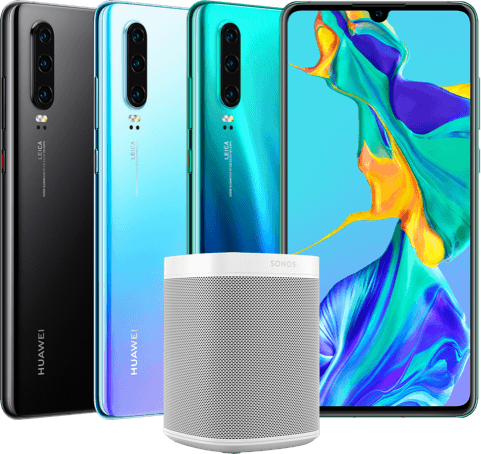 The Huawei P30 and Huawei P30 Pro are official and, as usual, the company has packed in a ton of features. 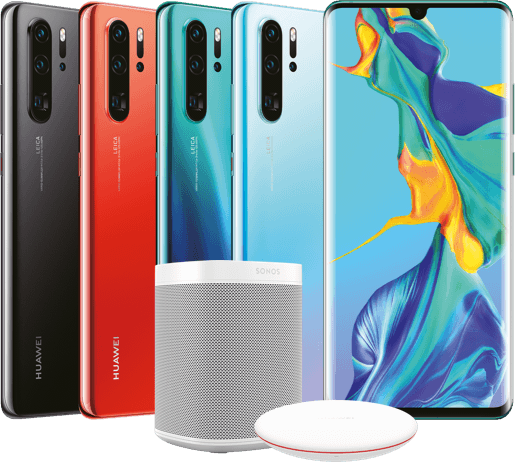 Last year’s P20 series was a very impressive bunch and Huawei has made upgrades and improvements across the board. They kept a lot of the same basic design from last year, which was a big departure for the company, but it still looks great here. The notch has been downsized to just one camera, but there are now three cameras on the back. Let’s take a closer look at these two devices. The P30 and P30 Pro both feature three cameras on the rear. They each have a “primary” camera, wide-angle camera, and telephoto camera, but the actual specs are slightly different. On the software front, we’re looking at EMUI based on Android Pie. Lastly, both models are available in Black, Pearl White, Aurora, Amber Sunrise, Breathing Crystal. These devices are all about the cameras and the P30 Pro has the most advanced setup of the pair. There are technically four cameras on the back, but for most purposes, we’re looking at a triple camera system. The primary camera is a 40MP “SuperSensing Sensor.” The secondary cameras include an 8MP 10x “hybrid” zoom sensor and a 20MP ulta-wide angle lens. The zoom lens uses some cool tech to combine optical zoom with digital zoom to get up to 10x. The fourth camera is actually a 3D ToF sensor, which enhances the portrait mode capabilities. 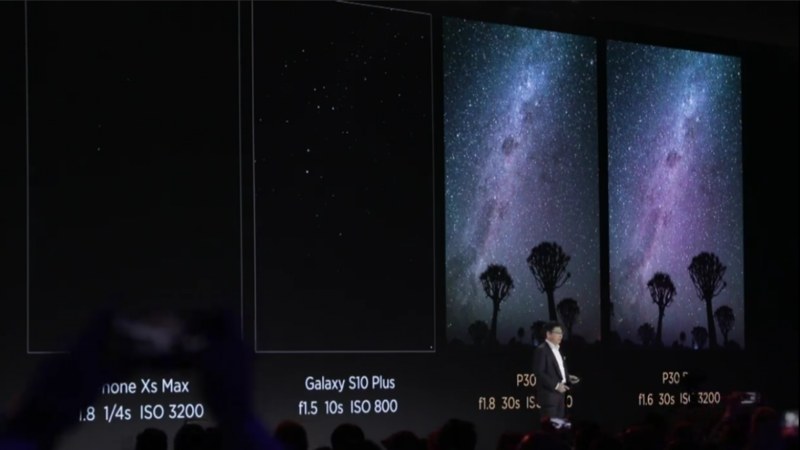 Huawei says the P30 Pro has improved low-light photography thanks to the RYYB sensor, which lets in up to 40% more light. They claim the “super high” ISO allows you to capture photos even in extremely dark situations, which is something OEMs have been focusing on since Google’s Night Sight changed the game. Huawei also boasts about the low-light video recording, which is something we haven’t seen from many phones. Speaking of video, you can use the zoom lens and primary camera at the same time to record a split-screen video. Besides the camera, the P30 Pro has a few more upgrades specs. The display is 6.47-inches OLED with HDR10. The bezels around the display are very small and there is actually no earpiece. The P30 Pro has an electromagnetic levitation speaker, which vibrates the display. It has slightly more RAM at 8GB and more storage options with 256 and 512GB. As you’d expect from a larger device, the P30 Pro has a slightly bigger battery at 4,200 mAh. The P30 Pro does not have a headphone port. 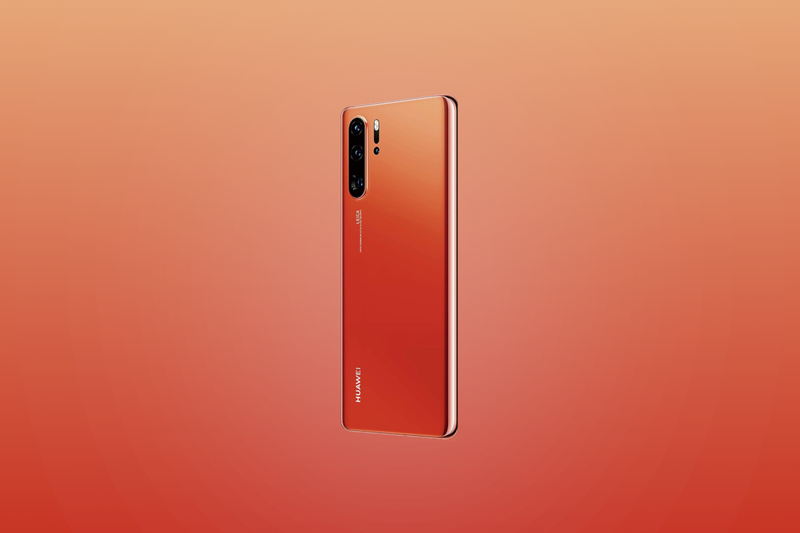 The Huawei P30 touts a lot of camera prowess as well, but it doesn’t have quite the same assortment as the Pro model. The primary camera is 40MP and it touts the same low-light features as the P30 Pro. It doesn’t have quite the same ISO levels, but it’s still improved for low light. The secondary cameras include a 16MP ultra-wide angle lens and 8MP telephoto with only 5x “hybrid” zoom (3x optical zoom). The P30 doesn’t have the 3D ToF camera. The P30 has a 6.1-inch OLED display with HDR10. The regular P30 doesn’t have the vibrating display, it has a standard slim earpiece. The P30’s display is also flat, whereas the Pro has curved edges. It has 6GB of RAM and only comes in a 128GB storage configuration. Since the device is smaller, the battery is also a touch smaller at only 3,650 mAh. Otherwise, this is basically a smaller version of the P30 Pro, just with not quite as much fancy camera hardware. Oh, and the P30 does have a headphone port. 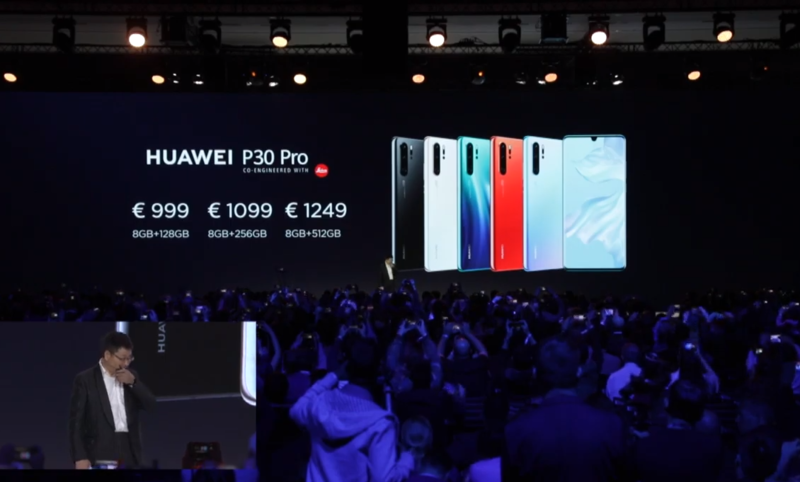 Pricing for the P30 Pro starts at €999 for the 128GB model, with the 256GB model going for €1099 and the 512GB model for €1249. The P30 costs €799 for 128GB of storage. The devices will go on sale starting today, March 26th. Huawei also announced a number of other devices, including wireless headphones and a new smartwatch. Note: Huawei has stopped providing official bootloader unlock codes for its devices. Therefore, the bootloader of the Huawei P30 and P30 Pro can’t be unlocked, which means that users cannot root or install custom ROMs.